Ah Spring! It is finally almost here! I'm starting my busy season here at Photography by Mallory. There will be lots of wedding photography to ensue, but also lots of family photos as well! Now that the warmer weather is here, families will start booking me for their annual family photos, Easter photos, Mother's Day and Father's Day photos. I stay pretty busy May - October, and book up fairly quickly. I'm so excited that time of year is fast approaching! We lucked out with a pretty good winter this year, but Spring weather seems to be taking it's sweet time arriving here in Massachusetts. As a photographer, I've been waiting patiently (sort of!) for warmer weather, green grass and those golden tones I adore. We've had lots of cooler weather, and very windy days! I'm ready for sunshine, flowers and warmth. Who isn't?! This family contacted me about booking some Spring Family Photos for Easter. Mom. Ashley, mentioned she wanted to send out Easter cards to family out of state- what a great idea! We all really prayed for some warm weather. We had to reschedule twice because of rain, so when the day finally worked out, the weather was predicted to be warmer! We did luck out with a bit of a warmer day, with just a small chill in the air. 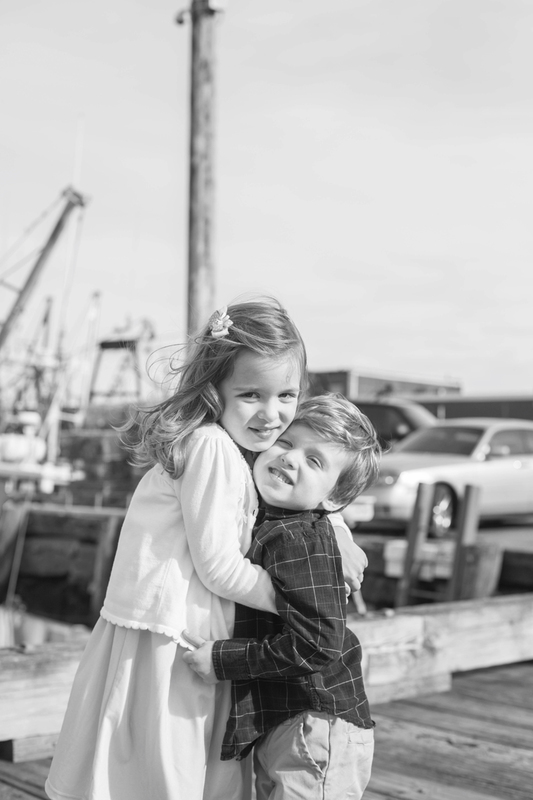 The New Bedford Harbor is a great area for photos, and is so quintessential New England! New Bedford is a big fishing city, bringing lots of fresh fish in every day. I love the looks of the boats and ocean in the background. I do a lot of beach photos, but sometimes it's nice to get to the docks for a different look. It was a tad windy, which is typical for near the water, but overall, the day was still pretty perfect. This family of 5 is so adorable, and I love photographing them! We took a mix of family shots, and some individual photos as well. I always try and sneak one photo of mom and dad in, if we can. Those are important moments to capture too! I wanted to share some of my favorites from their session here. Enjoy, and fingers crossed Spring is here!